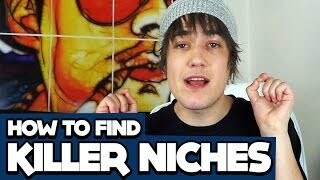 How To Find Profitable Niche Markets & Keywords | One of the biggest sticking points for a lot of newbie affiliate marketings seems to be the whole ‘choosing a niche’ thing so I make this video to show you guys exactly how to find a niche that’s both extremely profitable but also easy to rank for in the search engines. Coming up with niche ideas can be tough if you don’t know what you are doing but with these simple tips I’ll help you to get on the right track! business. Thanks Jay, and also thankscfor allbyour time and help!